Fixating on doubt can be not just unproductive, but paralyzing. On the other hand, denying doubt its legitimate place and function in the development of faith can be equally damaging. The topic of doubt has arisen in conspicuous ways in the church of late. The topic has been insightfully addressed in recent years by Elders Holland and Ballard among others. The term itself can be a source of both confusion and contention. Is doubt condemned by the Lord? Is the church intolerant of doubters? Is there a line between questioning and doubting that ought not be crossed? Is doubt a sign of spiritual weakness or of intellectual honesty and integrity? Surprisingly to some, the scriptures are more prone to condemn the demand for certainty than the expression of doubt. Alma noted with disapproval those who insist they want to “know of a surety; then we shall believe” (Alma 32:17). On the other hand, Christ worked a miracle in response to a father who was caught between belief and unbelief (Mark 9:23-35). To an apostle who was slow to believe, Christ proclaimed the blessings of believing over living in a state of certainty: “because thou hast seen me, thou hast believed: blessed are they that have not seen, and yet have believed” (John 20:29). At the same time, doubt can become a condition of mind—a destination rather than a passage. It can even be celebrated as a cynical posture of skepticism, worn like a badge by self-styled sophisticates. But reveling in doubt as a sign of spiritual maturity, suggests the psychologist William James, may really be little more than a coy refuge for the timid; those who fear error more than they love truth, will avoid any intellectual commitment not mandated by irrefutable evidence. There is a difference, after all, between “doubts” (cognitive dissonance we may experience over particular questions or issues) and “doubt” as a prevailing attitude we might bring to our inquiry. Critical thinking is desirable and productive, but if it is not seasoned with a measure of hope, it can quickly devolve into cynicism. It is not hard to see this cynicism at work in many who become relentlessly critical of the church. This kind of doubt leaves little room for hope or generosity and can make us blind to a whole range of beauty and experience that could otherwise richly bless us. But to vilify doubt in all its forms has pernicious consequences. It can forestall progress, create testimonies of glass, and breed resentment. It can make those who have honest doubts feel isolated or even defective. If serious questions, or even doubts, never arise in our minds, it is likely we are either sleeping or deceiving ourselves. As we and others examine our history and our texts, new evidence, new perspectives, new information will inevitably arise to challenge our present understanding. When one learns for the first time that Joseph used a seer stone rather than the plates in translating the Book of Mormon, it would be natural to experience significant cognitive dissonance if you were taught another narrative. If one hears that scientific DNA evidence does not seem to support the Book of Mormon, it would be natural and entirely healthy to ask, is this really so? What does this mean for my faith? All non-Mormon Egyptologists agree that Joseph’s explanations of the Book of Abraham do not comport with their translations of the papyri. The intellectually honest will inevitably ask, what are the implications for my faith in the prophet as a seer and revelator? A question is simply reconsidering our own assumptions. That’s normal and healthy. Often, that question remains unresolved, either because there is no clear answer or because we fear where the real answer might lead, so we hold the question in suspense. A doubt is the honest recognition that, as we have sought answers to a question, we find that our previous assumptions or beliefs about that particular question may be untenable. It’s pretty common for believers to hold multiple “doubts” about the truthfulness of previous understandings but still maintain faith in the Church and gospel. Doubt (maybe we call it big-D Doubt) is an existential condition we can experience when doubts accumulate to some critical mass as to bring the foundations of the faith (or even one’s place in the world) under question. “Ten thousand difficulties [need] not add up to Doubt,” said Cardinal Newman. But sometimes they do. Cynicism is the state you enter whey you let doubt commandeer your inquiry. Rather than question with an attitude of generosity and hope, one brings an attitude of faultfinding and often anger. This is what is often labeled “Doubt” in the Church. In actual fact, this stage of Doubt is, ironically, closer to certainty—since at this point the individual has stopped asking genuine questions. Because we are dynamic beings and truth is received line by line, precept by precept, because revelation is continuing and not always infallible, we must be willing to accommodate new understanding. Otherwise, as Joseph feared, we will “fall apart like shattered glass” rather than make the subtle adjustments to our paradigms induced by new understandings. Our testimonies are living things to nurture and guide us in our search for truth, not inflexible straightjackets that shut down growth and inquiry. Finally, criminalizing doubts will only serve to stifle curiosity, convey a worrisome defensiveness about the faith, and send the questioner in search of more accommodating conversation partners. Edmund Burke wrote, “the first emotion of which we are conscious as humans is curiosity.” Questioning is natural to us, and commended by scripture. Joseph launched the restoration because he believed God’s promise that those who ask questions “will not be upbraided.” We must give our children and fellow saints that same sense of security. Spencer Fluhman and Terryl Givens discuss the concepts of faith and doubt. Fixating on doubt can be not just unproductive, but paralyzing and spiritually toxic. On the other hand, denying doubt its legitimate place and function in the development of faith can be equally damaging. The way forward would seem to be using uncertainty, questions, and doubts, as fruitful catalyst to spiritual growth and discovery. The great Russian novelist Fyodor Dostoevsky spoke movingly of doubt as a great crucible through which his faith had passed. The apostle Hugh B. Brown similarly referred to doubt as an apprenticeship on the path to belief. Their mutually reinforcing formulations affirm an important truth. 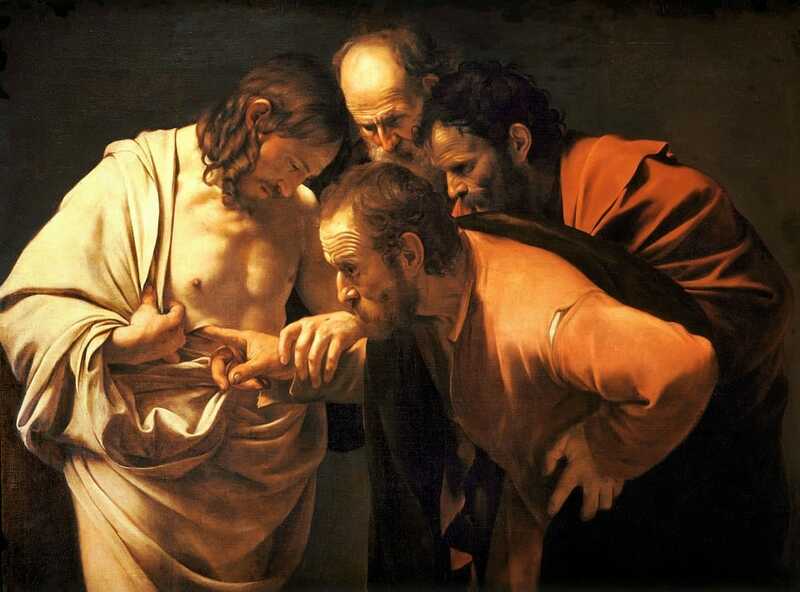 Doubt can have a crucial role in the life of the disciple. But it is not itself an end for which we strive. In both cases, the emphasis is on doubt as a way station, a predicament capable of serving as catalyst to a deeper engagement with one’s faith. It can build empathy, lead us to seek “with all our hearts,” and awaken our will to a greater role in our faith. An honest self-examination is in order for all seekers of truth. In this secular age, as we honestly question and think critically about eternal things, can we truly wrestle with troubling questions while reaching deep within to tap a reserve of faith and hope? A New York native, Terryl Givens did his graduate work in intellectual history (Cornell) and comparative literature (UNC Chapel Hill). He teaches courses in nineteenth-century studies and religious themes in literature at the University of Richmond, where he is Professor of Literature and Religion and the Jabez A. Bostwick Professor of English, and he has been a Research Fellow at both Brigham Young University and the University of Oxford. An award winning author, Givens’s work has been called “provocative reading” by The New York Times and includes By the Hand of Mormon, When Souls had Wings, People of Paradox, and a two volume history of Mormon thought: Wresting the Angel, and the forthcoming Feeding the Flock (Oxford University Press). With his wife Fiona, he has written The God Who Weeps, The Crucible of Doubt, and the forthcoming The Christ Who Heals (Deseret). Professor Givens has also been a commentator on CNN, NPR, and in the PBS/Frontline documentary, The Mormons. With Fiona, he makes his home in the village of Montpelier, Virginia.